For a serious health issue and a passing year, within the aura of the world’s finest medical center, my wife Lynn and I have become woven into the fabric of the Mayo Clinic. Two million patients a year, from the hindsight of Nebraska to the Himalayas of Nepal, arrive in rural Minnesota seeking ‘treatment’. In the interim, having traveled every subway tunnel, public and private, seeking out employee shortcuts, and unmarked elevators, this writer, ever vigilant, has dissected the bowels of the system….which brings us to today’s subject. The Dalai Lama. 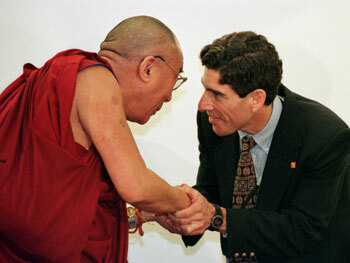 Yes, that Lama, Tibetan leader and symbol of kindness and magnanimity. Known to have visited the clinic before, usually on a yearly basis in the month of April, his highness (a.k.a. Lhamo Dondrub to his close friends) is now a sprite 76 y/o. 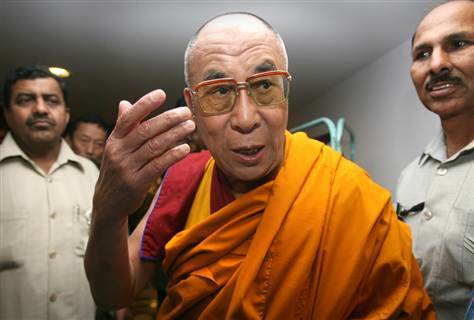 An internet search revealed that he planned a brief appearance in Los Angeles on April 21st, and was scheduled to be in Chicago on April 25th, where His Holiness will participate in the 12th World Summit of Nobel Peace Laureates. If you are like me, not a Nobel Laureate, as least not yet, then you, too, did not receive an invite. Sooo….where would old Lhamo, during this 3 day vacuum, be on the 22,23, and 24th? Welcome, fellow sleuths, to the underworld of InsightOut where yellow journalism and bogus reporting run amok. The clinic, parochial and private, is protective of their patient population. No press conferences, no release of confidential information, celebrity visitors are veiled in gauze-like anonymity. I join this crew, ascending in a very slow freight elevator, replete on three sides with olive green collision matting, and arrive at the first floor destination to be greeted by a handsome man, believed to be physician representative of CEO, Richard Noseworthy M.D. I am unceremoniously shunted away from the entourage into a sea of Chinese students, one, a quite attractive young woman who pulls me aside. and do you have insurance ? The material above may or may not be true, and those statements which are could also be fictional. All rights reserved. No part of this essay may be reproduced in any form without the express written permission of the publisher. Two thoughts for a penny ? Delivering the Chicago Tribune and the Sun Times in 1952 was a job that required a 5 AM wake-up, but generated an income of $4.50 a week. The weekly charge was 35¢ and most subscribers, in Hammond, IN, 20 miles south of the Loop, paid in small change. As cash was usually sparse in a blue collar neighborhood, payment was often made by raiding the ‘piggy bank’ or a stash of older coins, and hence began a lifetime as a collector for a 12 y/o snot nosed kid. Once consumed by this minor virus, it may go into remission, but the need for Kleenex® lasts forever. A lottery find, an 1895-O barber dime in VF condition, could strike again when least expected. Being scolded for buying a 5$ gold piece ( ≈ a month’s earnings) by an FDR loyalist mother who insisted it was unpatriotic…’those coins were supposed to be surrendered to the government by presidential order’. Fast forward sixty years, I turn down a generous offer to share a bucket of KFC with my street people pal. We dodge hospital traffic on busy 2nd Street, criminal jaywalkers both, the extra crispy aroma is tempting, but I tell Joe my taste tonight is for a 2X cheeseburger, a few fries, and a Michelob. The change at McD’s, 24¢, and I begin the 1/2 mile walk home wondering when Ronald will, if ever, begin to sell a brew, any brew, beside coffee. By now however, you must begin to feel the tension. I stop at the hindustani owned c-store to purchase an overpriced chilled beverage, Latrobe, PA.’s finest 12 ounce pale ale, while I examine my pennies. And there it is….hold your breath for a moment….the heart rate rushes ↑ toward three digit range…….yes, a 1946-D Lincoln wheat penny in nearly un-circulated condition. The original mint lustre, the unmistakable frosty sheen, staring up at me like a puppy awaking from a nap. The brilliance, the contrast, a warm lick on a cold cheek from a tiny canine friend. Can it be, an OMG moment to share on FaceSlap to gain hundreds of “friends”, the envy of lottery ticket buyers everywhere ? Each bite of cheeseburger is more delicious. The french fries, hot dipped in trans-fat; crisp, flavorful, overly salted, have never tasted better. The rolling rock tingles as it does its pharyngeal dance. But, alas, all hot air balloons descend. Thud, I knew the 46-D to be very common, unworthy of a single extra heartbeat. Here then, the sobering math. In 1946, Denver minted 315,690,000 pennies. A distance from the current production > 2 billion yearly, yet never destined to be a rarity. 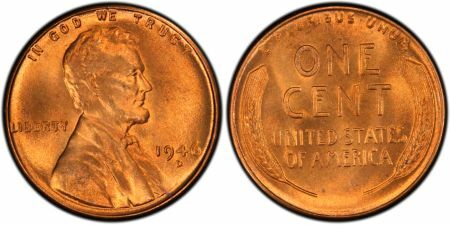 The last Lincoln cent production, with the gorgeous parabolic shafts of grain on the reverse, so-called “Wheaties”, ended in 1958. They were 95% copper and 5% zinc, and weighed 2,350 mgm. each. 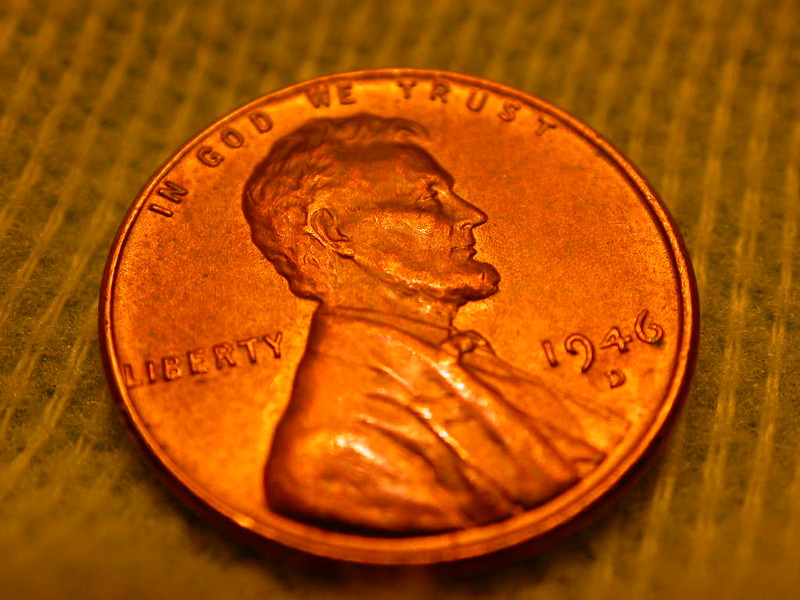 The yield per penny was a meager 2.23 Gm. of copper, or ≈ 1/200 of a pound. Obviously it is more profitable to steal copper wire from the utility company or stripped from abandoned houses than it is to go to McD’s. But my mind wandered as I thought of the trek of this penny, 1500 miles from CO. to MN., and where it might have been or gone in the 66 years. Will we ever have the technology to trace the path of a metallic ion, perhaps a genealogy for common cents, an armchair dream away from a computer screen ? Was this penny in a silk purse, from a collection wrongly spent, perhaps stolen, in a bank safety deposit box, in a lollipop penny scale hibernating more than half a century ? Will the advance of technology consume and compost original thought ? And why, on this day did it end up in a fast food restaurant that didn’t exist in 1946 ? These are profound questions, trust me, suitable for internet publication. If Victor Brenner, the designer of this iconic coin were alive today, he may have sculpted a tear on Lincoln’s cheek. Reserve a tissue for old Abe, an aging coin collector, and a puppy from the pound. At the current price of copper, $3.81/lb, my lucky find is worth……well……two cents. It is available, free, with no shipping charge, to the first 12 y/o paperboy who asks. Read item description or contact seller for details. before a global internet audience of millions. Be on the ‘same page’ as excited subscribers. Use catchy, overused, meaningless cliches at will. the synergy of your “A” game while your traction creates the perfect storm. put lipstick on the pig, and throw the readers under the bus. Plagiarize Hemingway, it’s permissible, he’s been gone for 51 years. Who cares, it’s your column ! Live the life … the Airstream Life! Everything Airstream, all the time. Subscribe to Airstream Life today! Don’t miss the best Airstream event of the year! wheel of fortune highness, Vanna [nee Rosich] White. You will be purchasing the blog of the author below. Just think, your very own photograph. Your very own bio. Or you can use mine if it doesn’t embarrass. Loyal companions: wife, Lynn; dog, Jack. Avocation: writing social and political satire. Past life: three decade clinical pharmacy owner. Bid now, bid often, bid with impunity. When will another opportunity like this surface ? even the misunderstood and always misogynous letter “Y”.